Arming your staff with all points of their communication enables faster response time to clients and co-workers. You’ll realize cost savings from functions like conference calling. Find Me Follow Me functionality gives employees transparent access to productivity-enhancing telephony services whether they are at home or on the road. See the complete list of features at this link. We’re certain you’ll be convinced that a Unified Communications Platform is the right choice for your business. But why Cooperative Communications, Inc? We’ve provided connectivity to businesses of all sizes – and in all sectors – since 1989. That’s why we know that no two companies are alike. With our unified communications system, we offer premise-based, hosted, and private hosted solutions for all industries. We’ll work with you to determine which solution is best for your budget and technical requirements. By the way, with a Cooperative Communications, Inc UCP, there are no license fees. 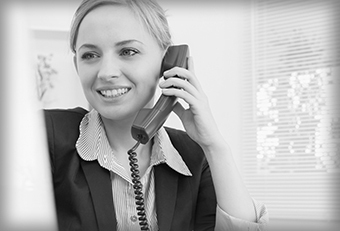 Your company can add staff with nothing more than the expense of the new handset. We’ve been innovators in the communications field for decades. When you talk to us, ask about our Voice Continuity Plan, something we introduced to the market. We’ll bring this same entrepreneurial thinking to help you solve your business communication needs. See the full list of Cooperative Communications, Inc UCP features here.